The annual in-store mega shopping event launches online. 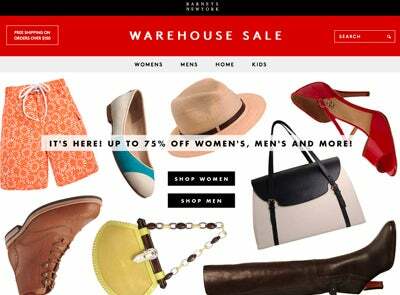 Barney’s New York, recognized by all fashionistas for their mega “Warehouse Sale” – an annual in-store event featuring marked down goods over 50% off from top designers like Lanvin and Givenchy, has launched on the web! No more waiting in line or coveting piles of clothes and shoes, the retailer has made it easy breezy to fill your cart with all of the Marc Jacobs bags and Fendi heels you fancy. Check out the hot items we’re stalking here.